Rachel Swann is Derbyshire’s new Deputy Chief Constable. 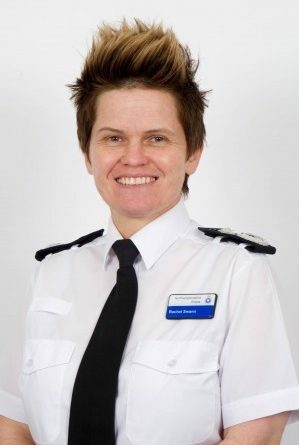 Although her career and aptitude should be judged purely on their own, it is important to note that Rachel Swann joins a team composed of 18 other high ranking officers in Derbyshire Constabulary, only 3 of whom are female – Tracy Lewis, Head of Criminal Justice Department; Rachel Osborne, Chief Superintendant for Chesterfield, NE Derbyshire, Bolsover and Amber Valley; and Superintendant Michelle Shooter, Head of Operational Support. Rachel, who is currently Deputy Chief Constable for Northamptonshire Police, will join Derbyshire’s force in February, replacing Gary Knighton, who only took up the role on 25th June 2017. Rachel began her policing career with Leicestershire Police in 1994, the same year that the first ever woman was appointed as a Deputy Chief Constable (Sue Davies in Dorset). Rising through the ranks, Rachel took a key command role for security of the Team GB Olympic training camp at Loughborough University, as well as the Queen’s Jubilee visit to Leicester. Rachel joined Northamptonshire Police as Assistant Chief Constable in 2015, before being promoted to Deputy Chief Constable in 2017. Police and Crime Commissioner for Derbyshire, Hardyal Dhindsa, said: “This is good news for Derbyshire residents and Derbyshire Constabulary. I have known Rachel for some years and have been very impressed with her leadership style and professionalism. She is clearly committed to improving policing services for the public and I look forward to working with her”. The Deputy Chief Constable is responsible for Professional Standards, Human Resources, and Legal and Corporate Services.